Daniel W. Drezner (born August 28, 1968) is an American professor of international politics at The Fletcher School of Law and Diplomacy at Tufts University, an author, a blogger, and a commentator. He is also a nonresident senior fellow at the Project on International Order and Strategy at the Brookings Institution. Drezner graduated from Williams College with a B.A. degree in political economy in 1990. He received his M.A. and Ph.D. degree from Stanford University. Drezner rarely discusses his political loyalties, but in 2011 he wrote: "I find liberals write 'even conservative Dan Drezner...' while conservatives often deploy terms like 'academic elitist' or 'RINO.' In my case, at this point in time, I believe that last appellation to be entirely fair and accurate. I'm not a Democrat, and I don't think I've become more liberal over time." Drezner was a signatory to a March 2016 open letter by Republican national security community members that opposed Donald Trump as Republican nominee for U.S. President. Drezner announced in July 2017 that he is no longer part of the Republican party. In October 2017, he recommended to Secretary of State Rex Tillerson to resign. Drezner has published columns, essays, and op-eds in many media outlets, including The New Republic, Foreign Affairs, Foreign Policy, The New York Times, Slate, Tech Central Station, and The Wall Street Journal. He has also been a frequent guest on Bloggingheads.tv and various other broadcast media. He originally blogged on his website, DanielDrezner.com, but moved in January 2009 to become a contributing blogger at ForeignPolicy.com. Drezner then moved to The Washington Post in 2014. He has moderated and spoken at various Council on Foreign Relations events. Drezner's 2007 book, All Politics Is Global: Explaining International Regulatory Regimes, looked at international economic regulations and concluded that these were under the control of the most wealthy and powerful nations, as they had been in the past. G. John Ikenberry in Foreign Affairs comments: "His main contribution, however, is to explode a popular notion of globalization and thereby to set an agenda for the study of global regulatory politics. For social movements seeking to shape the governance of the world economy, all roads still lead to the state." Drezner's 2011 book, Theories of International Politics and Zombies, speculated about different ways the international community might respond to a zombie outbreak, although he "concedes that the statistical probability of such an event is extremely difficult to determine but generally thought to be low." Oliver Stuenkel, writing in Post-Western World, commented: "Drezner’s book is a must-read for young international relations scholars, considering the vast attention this topic is likely to get in the future." Drezner's 2014 book, The System Worked: How the World Stopped Another Great Depression, examined the Financial crisis of 2007–2008. In it Drezner praised the international response to the crisis and said that a major economic depression was adverted. Jonathan Kirshner, in his review in the Boston Review, said the book was " smart, thoughtful, and important" but disagreed with Drezner on the issues of free trade and globalization. Drezner, Daniel W. (2017). The Ideas Industry: How Pessimists, Partisans, and Plutocrats are Transforming the Marketplace of Ideas. Oxford: Oxford University Press. ISBN 9780190264604. Drezner, Daniel W. (2014). The System Worked: How the world stopped another Great Depression. Oxford: Oxford University Press. ISBN 9780190263393. Drezner, Daniel W. (2008). All Politics is Global: Explaining international regulatory regimes. Princeton, New Jersey Woodstock: Princeton University Press. ISBN 9780691096421. Drezner, Daniel W. (2006). U.S. Trade Strategy: Free versus fair. New York Washington, D.C: Council on Foreign Relations Distributed by Brookings Institution Press. ISBN 9780876093498. Drezner, Daniel W. (1999). The Sanctions Paradox: Economic statecraft and international relations. Cambridge England New York: Cambridge University Press. ISBN 9780521643320. Drezner, Daniel W. (2003). Locating the Proper Authorities: The interaction of domestic and international institutions. Ann Arbor: University of Michigan Press. ISBN 9780472027279. Drezner, Daniel W. (2009). Avoiding Trivia: The role of strategic planning in American foreign policy. Washington, D.C: Brookings Institution Press. ISBN 9780815703662. Drezner, Daniel W. (March 2008). "The realist tradition in American public opinion". Perspectives on Politics. 6 (1): 51–70. CiteSeerX 10.1.1.552.8386. doi:10.1017/S1537592708080067. JSTOR 20446637. Pdf. Drezner, Daniel W. (2008), "International economic order", in Darity, William A. (ed. ), International encyclopedia of the social sciences, volume 4: Inequality, income – Marxism (2nd ed. ), Detroit: Macmillan Reference USA, ISBN 9780028659695. Drezner, Daniel W.; Farrell, Henry (January 2008). "Introduction: blogs, politics and power: a special issue of Public Choice". Public Choice, Special Issue: Blogs, Politics and Power. 134 (1–2): 1–13. doi:10.1007/s11127-007-9206-5. JSTOR 27698207. Drezner, Daniel W.; Farrell, Henry (January 2008). "The power and politics of blogs". Public Choice, Special Issue: Blogs, Politics and Power. 134 (1–2): 15–30. doi:10.1007/s11127-007-9198-1. JSTOR 27698208. 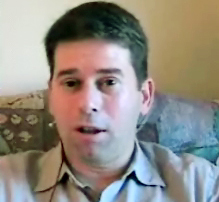 Drezner, Daniel W. (October 2005). "Globalization, harmonization, and competition: the different pathways to policy convergence". Journal of European Public Policy, Special Issue: Cross-national Policy Convergence: Causes, Concepts and Empirical Findings. 12 (5): 841–859. doi:10.1080/13501760500161472. Drezner, Daniel W. (Fall 2004). "The global governance of the internet: bringing the State back in". Political Science Quarterly. 119 (3): 477–498. doi:10.2307/20202392. JSTOR 20202392. Drezner, Daniel W. (Summer 2003). "The hidden hand of economic coercion". International Organization. 57 (3): 643–659. doi:10.1017/S0020818303573052. JSTOR 3594840. Drezner, Daniel W. (January 2001). "Outside the box: explaining sanctions in pursuit of foreign economic goals". International Interactions. 26 (4): 379–410. doi:10.1080/03050620108434972. Drezner, Daniel W. (Spring 2001). "Globalization and policy convergence". International Studies Review. 3 (1): 53–78. doi:10.1111/1521-9488.00225. JSTOR 3186512. Drezner, Daniel W. (January 2001). "State structure, technological leadership and the maintenance of hegemony". Review of International Studies. 27 (1): 3–25. doi:10.1017/S0260210501000031 (inactive 2019-02-22). JSTOR 20079588. Drezner, Daniel W. (October 2000). "Ideas, bureaucratic politics, and the crafting of foreign policy". American Journal of Political Science. 44 (4): 733–749. doi:10.2307/2669278. JSTOR 2669278. Drezner, Daniel W. (Winter 2000). "Bargaining, enforcement, and multilateral sanctions: when is cooperation counterproductive?". International Organization. 54 (1): 73–102. CiteSeerX 10.1.1.488.7914. doi:10.1162/002081800551127. JSTOR 2601318. Drezner, Daniel W. (September 1999). "The trouble with carrots: transaction costs, conflict expectations, and economic inducements". Security Studies, Special Issue: Power and the Purse: Economic Statecraft, Interdependence, and National Security. 9 (1–2): 188–218. doi:10.1080/09636419908429399. Drezner, Daniel W. (December 1998). "Conflict expectations and the paradox of economic coercion". International Studies Quarterly. 42 (4): 709–731. doi:10.1111/0020-8833.00103. JSTOR 2600899. Drezner, Daniel W. (September 1998). "So you want to get a tenure-track job...". PS: Political Science & Politics. 31 (3): 609–614. doi:10.2307/420623. JSTOR 420623. Drezner, Daniel W. (March 1997). "Allies, adversaries, and economic coercion: Russian foreign economic policy since 1991". Security Studies. 6 (3): 65–111. doi:10.1080/09636419708429315. ^ "bio". Danieldrezner.com. 1968-08-23. Retrieved 2013-04-25. ^ Daniel W. Drezner: Nonresident Senior Fellow, Foreign Policy, Project on International Order and Strategy, Brookings Institution. ^ "Faculty Profile Tufts Fletcher School". Fletcher.tufts.edu. Retrieved 2013-04-25. ^ "Washington Post: Daniel Drezner". Retrieved October 16, 2017. ^ "Hi, my name's Dan, and I'm a RINO". foreignpolicy.com/. 2011-11-27. Retrieved 2013-11-18. ^ "Responding to the Realists". ^ "Open Letter on Donald Trump from GOP National Security Leaders". ^ "Not a Republican as of November 2016". ^ "Daniel W. Drezner". Foreign Affairs. Archived from the original on 2007-08-26. Retrieved 2013-04-25. ^ "Web of Influence – By Daniel W. Drezner and Henry Farrell". Foreign Policy. Retrieved 2013-04-25. ^ Ho, Tienlon. "Politics, Business, Technology, and the Arts - Slate Magazine". Slate.com. Retrieved 2013-04-25. ^ "Daniel W. Drezner | FOREIGN POLICY". Drezner.foreignpolicy.com. Retrieved 2013-04-25. ^ "Amanda Erickson and Dan Drezner join The Post's digital opinion venture". Washington Post. Retrieved 2017-07-11. ^ Daniel W. Drezner Professor of International Politics, Fletcher School of Law and Diplomacy, Tufts University, Council on Foreign Relations. ^ "Daniel W. Drezner :: Who the hell is Daniel W. Drezner?". danieldrezner.com. 21 October 2005. Retrieved 25 April 2013. ^ "Twitter / dandrezner: Due out this fall: Daniel". Twitter.com. Retrieved 2013-04-25. Wikimedia Commons has media related to Daniel Drezner.